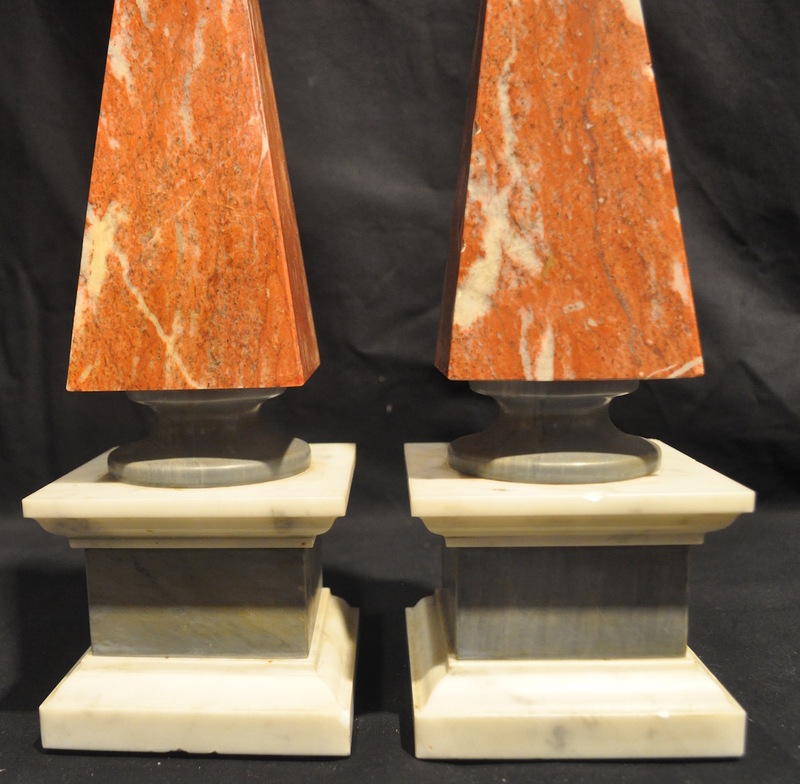 Beautifully shaped vintage Italian marble obelisks with rouge obelisks (top), and cream and grey plinths. Unusual Italian design. Label reads 'Scultori R. Romanelli, Florence". 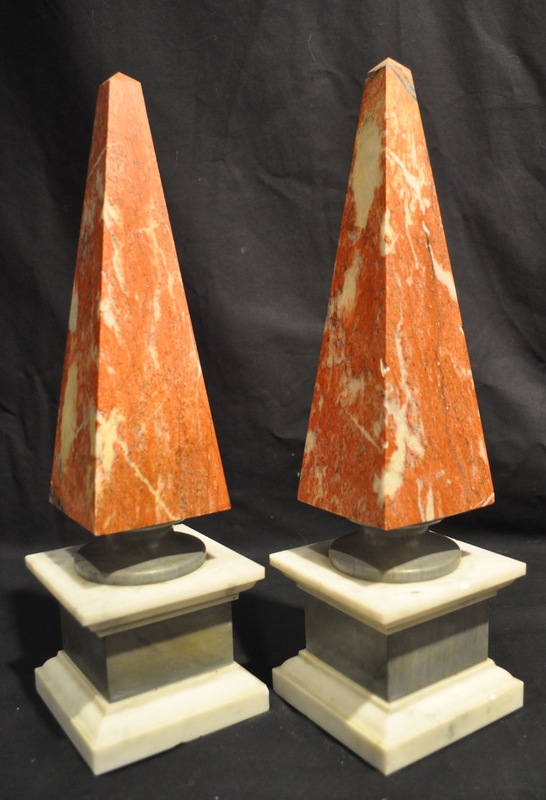 14.5 inches tall. Overall good condition consistent with age. 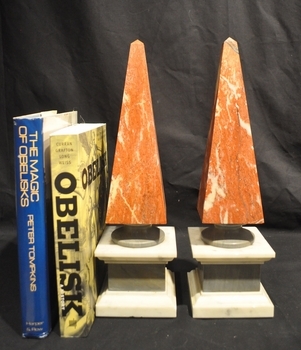 Obelisk A has minor fela bite near top of obelisk and on one corner of bottom of pedestal. 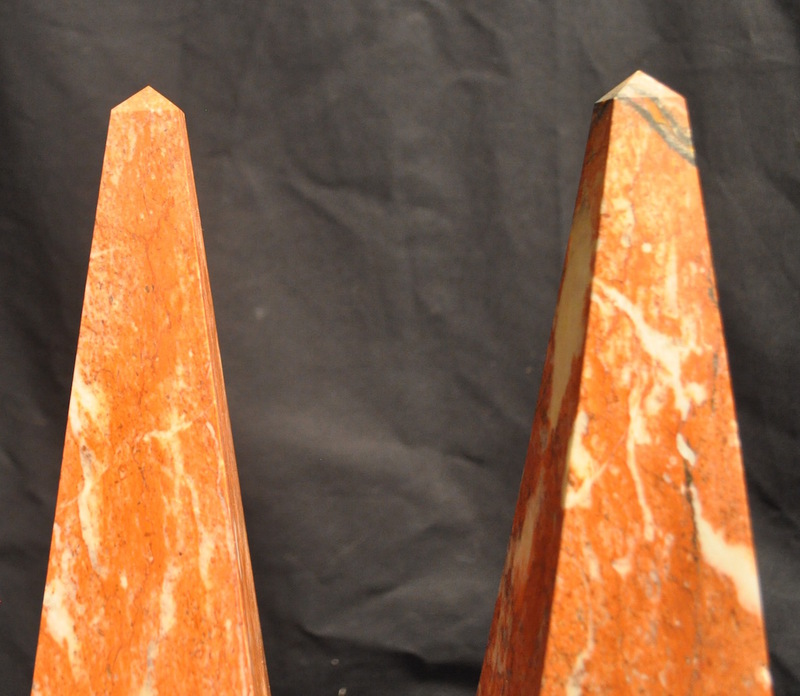 Obelisk B has several chips on 3 sides of the obelisk, and 1 side of the upper base, and a minor chip on the lower base (see photo). None take away from the display quality of the obelisks. More photos available on request.